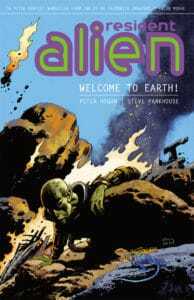 DARK HORSE COMICS SERIES ‘RESIDENT ALIEN’ PICKED UP TO PILOT AT SYFY! 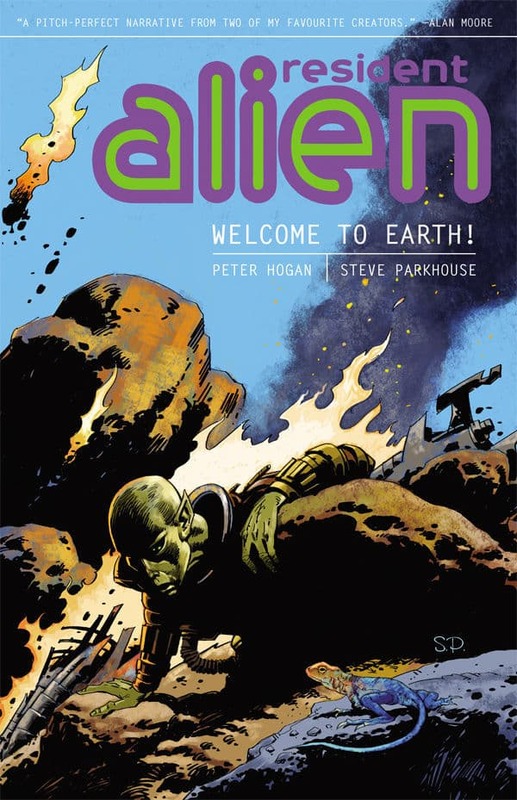 SYFY announced today that RESIDENT ALIEN, a drama based on the Dark Horse Comics series of the same name by co-creators Peter Hogan and Steve Parkhouse, has been picked up to pilot. From Universal Cable Productions, the series was adapted to television by executive producer Chris Sheridan (“Family Guy”). Mike Richardson (“The Mask”) and Keith Goldberg (“The Legend of Tarzan”) of Dark Horse Entertainment, and Justin Falvey (“The Americans”) and Darryl Frank (“The Americans”) of Amblin TV will also executive produce. 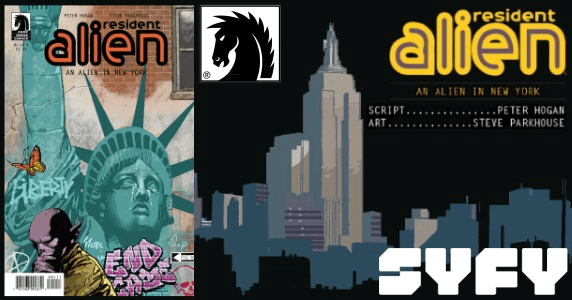 RESIDENT ALIEN is the first pilot to be picked up off of SYFY’s 2018 development slate. The network recently picked up two high profile projects to series: DEADLY CLASS, based on the acclaimed Image Comics graphic novel of the same name, and NIGHTFLYERS, a space-based thriller based on author George R.R. Martin’s novella. The new dramas join the network’s current lineup of popular science fiction, fantasy, comics, superhero and horror programming, including original series KRYPTON, HAPPY!, THE MAGICIANS, CHANNEL ZERO, KILLJOYS, 12 MONKEYS and FACE OFF — and co-produced series and movies WYNONNA EARP, Z NATION, VAN HELSING and SHARKNADO. Looking to the future, SYFY is actively developing a rich pipeline of major genre projects, including BRAVE NEW WORLD, THE RAVEN CYCLE and HYPERION. Universal Cable Productions (UCP) creates innovative and critically acclaimed original scripted content for all media platforms. Its robust slate of programming includes: the Emmy and Golden Globe award-winning drama “Mr. Robot,” the Golden Globe nominated “The Sinner,” “Unsolved: The Murders of Tupac and The Notorious B.I.G,” “The Purge” and “Suits” for USA Network; “The Umbrella Academy” for Netflix; “Homecoming” for Amazon; “Dirty John” for Bravo; “Happy!,” “The Magicians” and “Channel Zero” for SYFY; “Impulse” for YouTube Premium; and “The Act” for Hulu. UCP’s content library also features critic and fan favorites such as the Emmy award-winning “Monk” as well as “Battlestar Galactica” and “Psych.” UCP is a part of NBCUniversal Cable Entertainment, a division of NBCUniversal, one of the world’s leading media and entertainment companies. Amblin Television, a long-time leader in quality programming, is a division of Amblin Partners, a content creation company led by Steven Spielberg, with investment partners that include Participant Media, Reliance Entertainment, Entertainment One (eOne), Alibaba Pictures and Universal Pictures. Amblin Television’s co-presidents, Darryl Frank and Justin Falvey, oversee all development, production and programming for the company. In addition to “Resident Alien,” Amblin Television currently has twelve series in various stages of production including “Bull” for CBS, the Peabody Award-winning and Emmy-nominated drama “The Americans” for FX, the upcoming dramatic thriller “Reverie” for NBC, “Roswell, New Mexico” for the CW, the adaptation of Shirley Jackson’s “The Haunting of Hill House” as well as the Rev Run and Justine Simmons family sitcom for Netflix, “Amazing Stories” for Apple, “Cortes” for Amazon,“Animaniacs” for Hulu, “Days that Shaped America” for The History Channel, and “Why We Hate” and “Cooper’s Treasure” for Discovery. 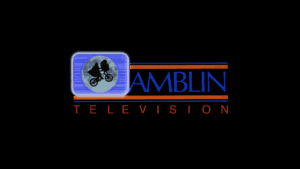 Some of Amblin Television’s previous credits include the Emmy-nominated HBO movie “All The Way” starring Bryan Cranston, “Smash” for NBC, “Under the Dome” for CBS, “Falling Skies” for TNT, “The Borgias” and “The United States of Tara” for Showtime, and “Las Vegas” for NBC. 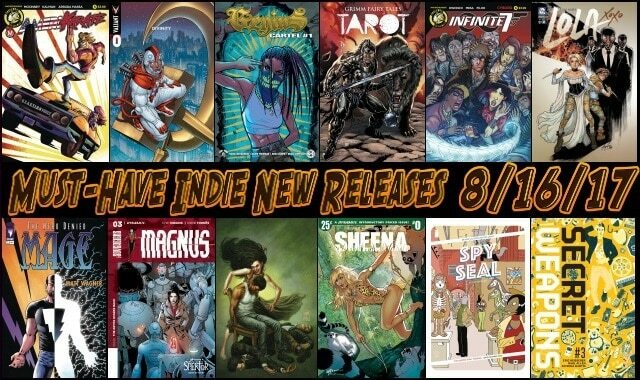 Dark Horse Comics was founded by Mike Richardson with the goal of telling great stories. This idea led the publisher to spin-off Dark Horse Entertainment in 1992. The company’s first major films—THE MASK and TIMECOP — were based on Richardson’s creations and both opened #1 in box office. 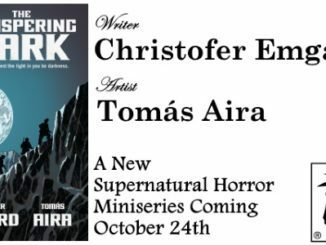 DHE has since produced over 30 films and series, including the HELLBOY films, and an Emmy Award–winning documentary, MR. WARMTH: THE DON RICKLES PROJECT. Recently completed projects include THE LEGEND OF TARZAN film for Warner Bros., and the DARK MATTER television series for Syfy network. Current projects include the HELLBOY reboot starring David Harbour (Stranger Things) directed by Neil Marshall (The Descent), THE UMBRELLA ACADEMY, a Netflix original series based on the comics by Gerard Way (My Chemical Romance) and POLAR, a noir action thriller starring Mads Mikkelsen (Rogue One).